Most Southern Nevada residents know, if they’ve made the drive from Las Vegas to Los Angeles, that just this side of Barstow, you have to stop at an inspection station. Longtime residents know about the station, it’s been there since 1963, and after that much time in the high desert sun, it’s looking a bit worse for wear. According to a report in the Las Vegas Review-Journal, within two years, that inspection station will be no more. The Yermo station is being replaced by a brand-new inspection station, which will be located about seven miles across the state line from Nevada. Construction may begin on the new $47 million station as early as fall 2017. An opening date has not yet been determined. What is the Inspection Station for? The station, operated by the California Department of Food and Agriculture (CDFA), is there to prevent the import of certain types of plant and insect life that California considers to be potentially damaging to the crops grown in the State. Usually cars are waved through, but if you’re driving a self-moving truck, or a big truck hauling food, livestock, or other freight, you may be there for some time while your vehicle is inspected. On occasion, items are rejected, and must be disposed of, before the vehicle can continue. 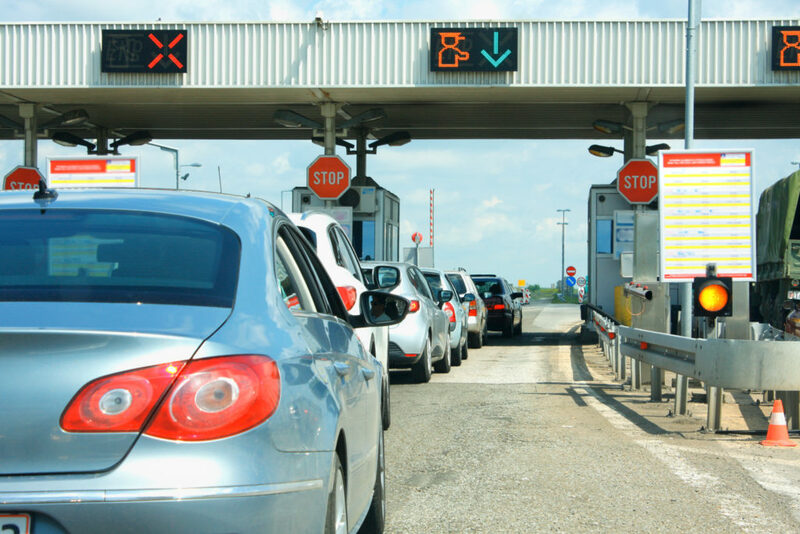 There are 16 CDFA inspection stations on incoming routes to California around the state, and most are much closer to the borders of the neighboring states. Positioning this station closer to the border will prevent people from taking bypass routes to avoid the station. Hopefully the new station will have more lanes available, so that traffic will continue to move quickly through the station. On days that traffic gets heavy on I-15 southbound, the backups can be brutal. So, one more landmark on the drive to LA will soon be a remembrance. It will soon join the abandoned waterpark and Stuckey’s as distant memories. At least we still have Lenwood Road as a waypoint on that trip. If you’ve received a ticket in Clark County, Nevada, call us today to discuss our services. We negotiate your ticket with local courts, and can usually reduce moving violations to a parking ticket, saving you points on your record, and increases in your insurance rates. Call today at (702) 666-6666.